I am a huge fan of poutine and it all started at the turn of the millennium when I was first introduced to poutine while studying in Toronto. And from then on, I made it a point to eat poutine whenever humanly possible. But that "obsession" took a back seat when I returned to Singapore as poutine was relatively scarce in this part of the world. 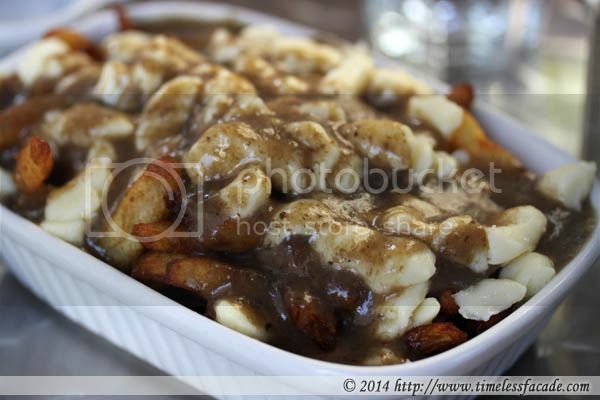 Fast forward to 2014 and I was back in Canada as part of a mini round the world trip, seizing the opportunity to rekindle my love for this beloved Canadian dish. 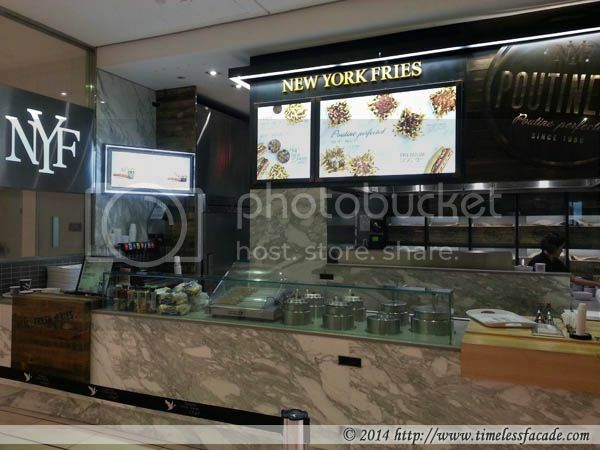 Our first stop was where it all started for me more than a decade ago, New York Fries; A Canadian fast food chain where I had my first taste of poutine. 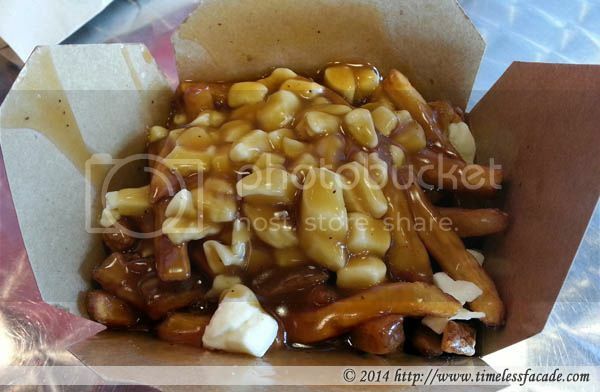 The fries were piping hot, crisp with their skin intact and topped with a generous serving of fresh cheese curds that turned a little gooey under the luscious, flavourful brown gravy. This was sinfulness and deliciousness personified! I had a hard time restraining myself from ordering another. As mentioned in my previous post on m:brgr, this place came recommended from our hotel concierge; In the province where poutine originated. 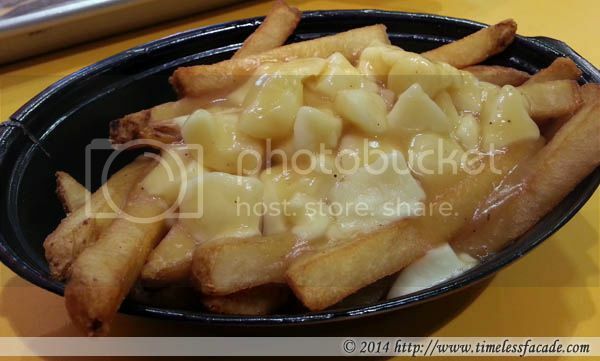 Plentiful fries with tons of fresh, squeaky cheese curds and gravy made for a decent eat. But the fries were deep fried till a tad burnt whilst the gravy did come across as too mild. Only plus point, excellent cheddar cheese curds. 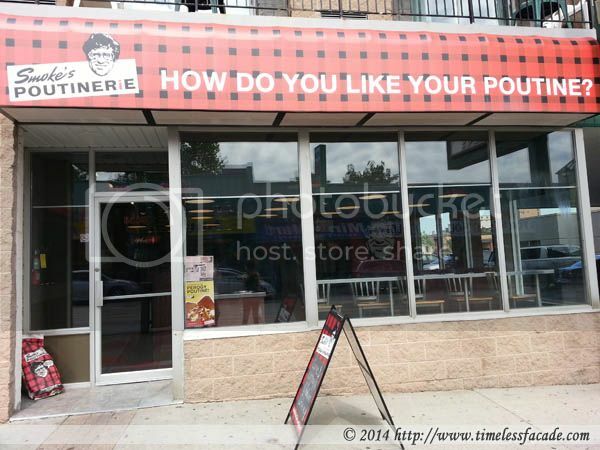 Our next poutine stop was at Smoke's Poutinerie's Niagara Falls outlet, a shop specialising in what else but poutine? 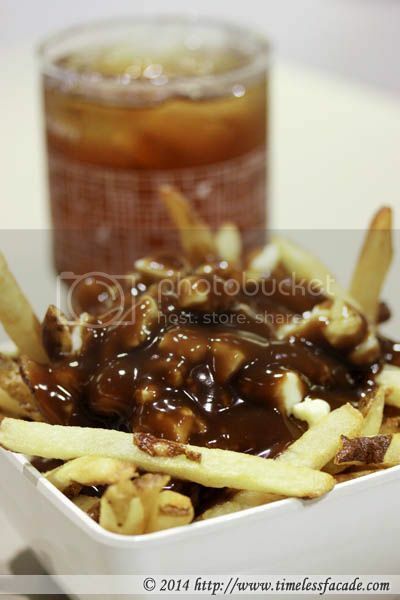 The menu features more than ten different varieties of poutine, from the classic to the vegetarian and the likes of foie gras, pulled pork etc. For the sake of comparison, we had the classic poutine which came piping hot and packed to the brim in a cardbox container. The fries came with skin on but didn't taste quite as fresh but at least they weren't deep fried (m:brgr). Interestingly, although the whole dish was hot, the gravy was lukewarm and failed to meld in with the cheese curds. Still a decent eat nonetheless. A&W might be faltering in the US but according to reports, it's thriving in Canada. And it's not too difficult to see why (But that's a story for another day). I don't quite remember how much the poutine cost but I think it required a small top up with my combo meal. Although the fries were a little limp, the gravy was rather flavourful and coupled with the lightly melted mozzarella cheese curds, made for a rather decent offering.